OLH Founder and Co-Director, Dr Caroline Edwards, recently spoke about open access and open science in Vienna at the invitation of the Austrian Science Fund (FWF) and the Academy of Fine Arts, Vienna. 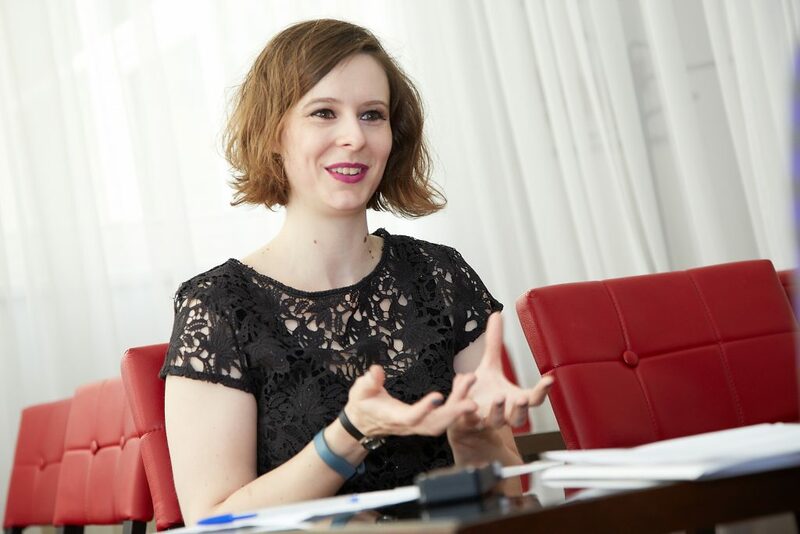 Speaking to Ingrid Ladner for scilog, the magazine published by the FWF, Caroline described how she started working in open access publishing and editing, why open science is crucial for researchers, librarians, and the general public, and how the Open Library of Humanities (OLH) has been developing European support since launching its publishing platform in September 2015. One of the key motivations when we started the OLH was the recognition of how hierarchical academia is becoming. Many people who are “research active” may not hold a tenured position, for example, or may be working on fixed- and short-term contracts, meaning that they often do not have access to published research behind paywalls, without the benefit of university membership. Similarly, after graduating, students no longer have access to scholarly materials once their university accounts have closed, which prevents them from building on their studies beyond the university. It was also clear to us that there are other sections of society including NGOs, professional bodies, or even politicians, who need access to academic research results for professional reasons. If these people cannot access scholarship, society is poorer as a result. Anyone wishing to discuss supporting the OLH within Europe, should contact the OLH European Library Partnerships Manager, Saskia C.J. de Vries: saskia.devries@openlibhums.org.